Well, maybe they aren't better, but they will definitely give it a run for its money. After all, the scientific name for chocolate does mean "food of the gods." 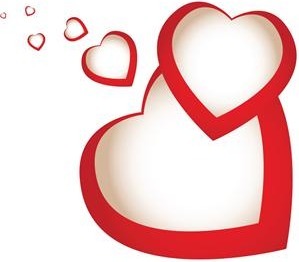 Valentine's Day is just a few days away and as a Delicious Bytes blogger, I got my hands on some delectable chocolate recipes will win the heart of just about anyone! The best part is, that with Kraft, the recipes are all simple and quick to create. What are you waiting for? 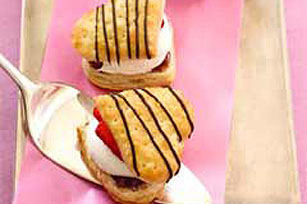 Get busy and sink your teeth into these chocolate Valentine's Day recipes. PREHEAT oven to 350°F. Unfold pastry. 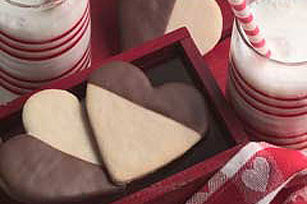 Cut into 16 hearts with 2-inch heart-shaped cookie cutter. Place on ungreased baking sheets. CUT each heart horizontally in half. Spread 1 tsp. of the jam onto bottom half of each heart; top with 1 Tbsp. of the whipped topping and a strawberry slice. Cover with tops of hearts. Drizzle with chocolate. Serve immediately. Or, cover and refrigerate up to 1 hour. MIX first 3 ingredients; set aside. Beat butter and sugar in large bowl with mixer until light and fluffy. Blend in egg and vanilla. Add flour mixture; mix well. Refrigerate 1 hour. ROLL out dough to 1/8-inch thickness on lightly floured surface. Cut into heart shapes with 2-inch cookie cutter, rerolling trimmings. Place, 2 inches apart, on parchment paper-covered baking sheets. Refrigerate 30 min. HEAT oven to 350°F. Bake cookies 10 min. or until edges are lightly browned. Cool on baking sheets 3 min. ; remove to wire racks. Cool completely. DIP 1 side of each cookie in chocolate. Return to racks; let stand until chocolate is firm. Yum! I love those strawberry heart pillows. So cute. 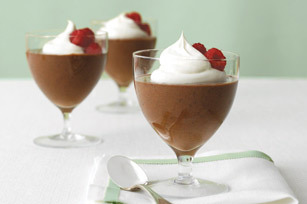 Th chocolate mousse looks AWESOME! I'm lovin the strawberry heart pillows too - and it looks like a little person might be able to help put them together. Might have to try em! Wow! My husband is a foodie and this will be a true gift for him from me this Valentine! Thanks for sharing these recipes! Now I'm hungry. The Strawberry Heart Pillows look so good.